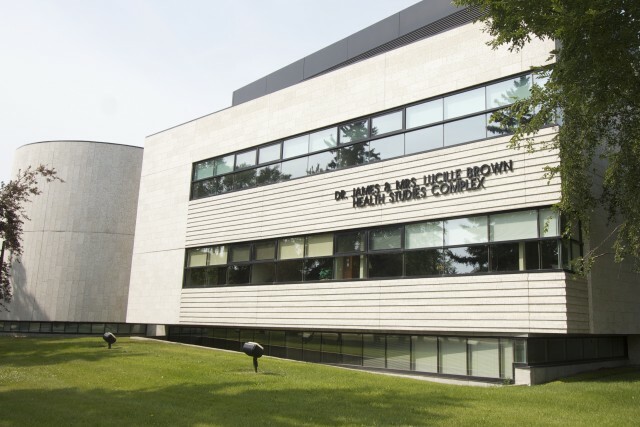 The Dr. James & Mrs. Lucille Brown School of Health Studies Complex at Brandon University. BRANDON, MB – Two professors from Brandon University’s (BU) Faculty of Health Studies Psychiatric Nursing program have collaborated on a new book aimed at supporting caregivers in the mental health field. Supporting Individuals with Intellectual Disabilities and Mental Illness, co-authored by Debra Dusome and John Simpson (retired), explores topics of interest to those that provide care for individuals with co-occurring intellectual disabilities and mental illness. “The book has links to resources and information for professionals who care for people with both developmental challenges and mental health issues,” said Debra Dusome. The book builds and emphasizes key points for caregivers, and presents current evidence informed practice knowledge. It examines an understanding of client behaviors so caregivers can develop the knowledge, skills and attitudes to promote positive changes to the environment and quality of life for those they care for with this dual diagnosis. Supporting Individuals with Intellectual Disabilities and Mental Illness is available for free as an open access resource at opentextbc.ca/caregivers.